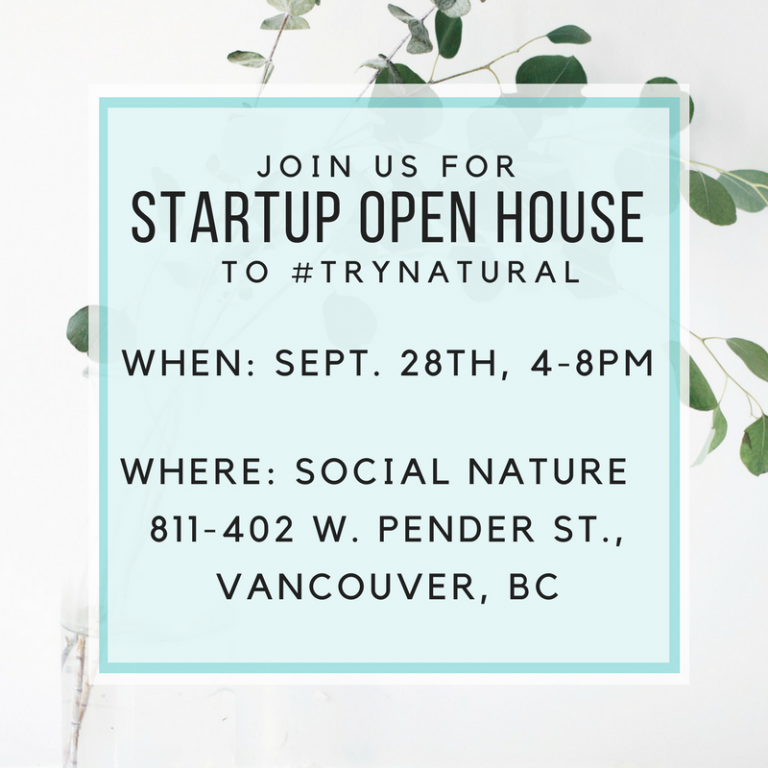 Exciting news: We are participating in this year’s Startup Open House in Vancouver! 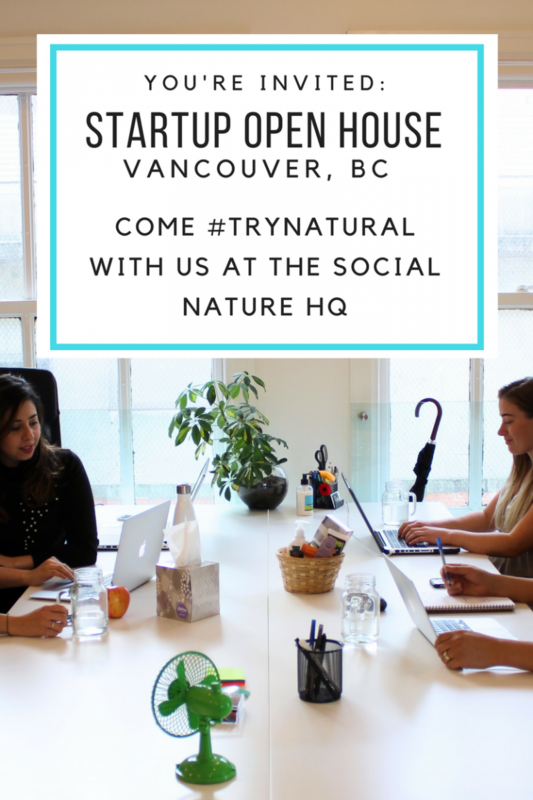 We could not be more excited to offer a behind-the-scenes look at the Social Nature offices and team. We would love to meet all of our community members in person, so grab your friends and join us for a fun evening! Meet our team! Learn about our culture and job opportunities, meet our CEO Annalea and network with like-minded peeps. Don’t forget to check out our current openings here. Learn more about what it’s like to be a Natural Influencer by trying natural products and sharing your review. Actively looking for a job? Registration is FREE, and there are more Startups in the Vancouver community to check out. Click here to build your path from office to office with Startup Open House Vancouver. We can’t wait to meet you at our Startup Open House!